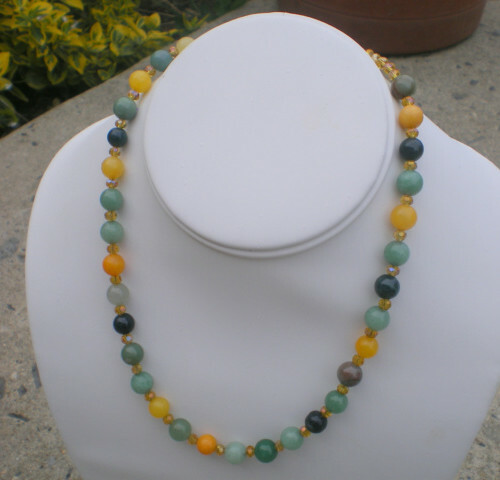 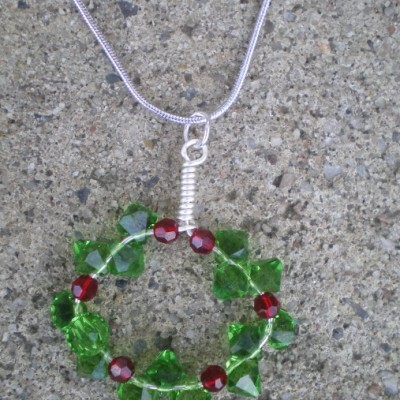 17 1/4″ Long handmade beaded necklace. 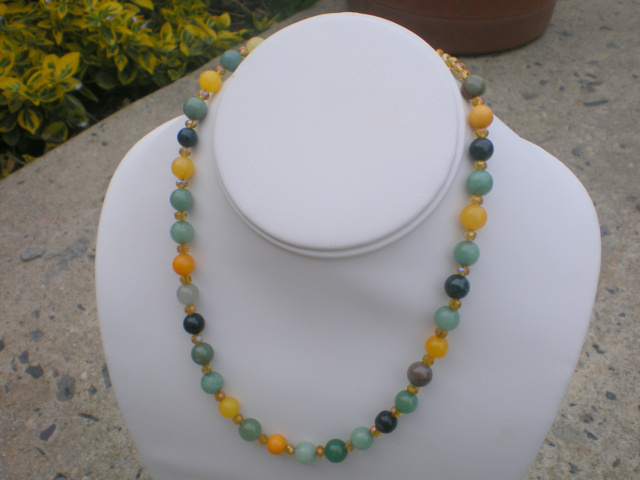 Multicolored semiprecious stones with light Topaz swarovski crystals in between and towards the end of the necklace. 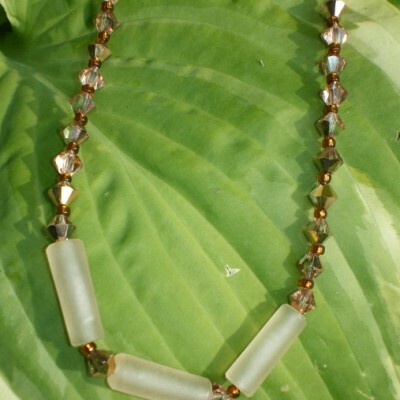 Goldtone toggle clasp. 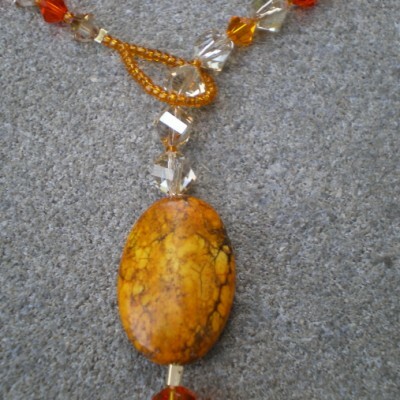 Be the first to review “Multicolored stone necklace” Click here to cancel reply.